By the way, you can now monitor our Twitter stream for job openings related to accessibility, thanks to the efforts of Web Diva Cyn, who followed a great tip from the webmaster of the STC Technical Editing SIG. Did you know that some people view autism as an asset, not a liability, in some jobs? The topic of this article is just that – autism as an asset. Evengrounds provokes with the question: Why bother hiring people with disabilities? On the other hand, maybe those people with disabilities are too good for some employers?! Is your head in a cloud with the talk about cloud computing? T. V. Raman gave a talk at the Accessing Higher Ground conference in November 2009 and made his slides (in PDF and HTML format) and talk (MP3 format) available to everyone. Check out the highlights of the challenges and opportunities of accessibility in the clouds. Before you say "I'm not deaf, so I really don't want to hear about captioning anymore", read "Captions: Understand DVD Shows," an article about the benefits of captions for people without hearing issues. As a person without hearing issues, I am grateful for the subtitles on my TV. It gets me safely through parts of shows where some technician went a bit crazy with the background sounds or music, disrupting the flow of speech in the process. In the U.S., there is a petition to support a move to make telecommunications accessible for and usable by people with disabilities. 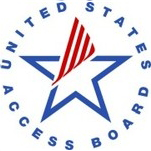 The petition was created by the Coalition of Organizations for Accessible Technology (COAT) to support "The Twenty-first Century Communications and Video Accessibility Act of 2009", also known as H.R.3101. COAT made a one-page summary of H.R.3101. From that page, you can also navigate to the petition site and follow the progress of the bill through the United States Congress. More awareness about captioning is coming March 2, on Dr. Seuss' birthday. That is when DCMP holds its Read Captions Across America (RCAA) campaign, held in conjunction with the National Education Association’s (NEA) Read Across America event every year. RCAA wants to "raise awareness—particularly among children and their parents and teachers—that video-based media can be just as effective at encouraging and fostering reading skills as books, as long as captions are always turned on!" Excellent information from the University of Washington's DO-IT (Disabilities, Opportunities, Internetworking, and Technology) serves to increase the successful participation of individuals with disabilities in challenging academic programs and careers, such as those in science, engineering, mathematics, and technology: Creating Video and Multimedia Products That Are Accessible to People with Sensory Impairments, by Sheryl Burgstahler, Ph.D. "And How Universal Design Features Benefit Everyone". PDF version. Does Twitter need a wake-up call? This article says that user "accessibility is crucial for social media sites that want to stay successful. Now Twitter is risking its future by not taking accessibility seriously". With that in mind, read this review of Twitter.com versus AccessibleTwitter.com! For those who still find social media boring, here's a great "matchmaking" story from the Twitter community. On Jan 20, 2009, @scenariogirl writes "@briankelly Fantastic talk this morning, I will come up and say hi at lunch". On Jan 23, 2009, @scenariogirl writes "massive thanks and kudos to @briankelly for adding context & purpose to my accessibility methodology i.e. Accessibility isn't binary." Later that month, a talk is born: "From Web Accessibility 2.0 to Web Adaptability". Finally, six months later, a paper is published. Rather sweet, don't you think? It's also proof that Twitter isn't just vapid chatter! That paper is pretty amazing as discussed in our Toward Web Adaptability blog post back in July. Have you been told to investigate the Web Accessibility Accessibility Guidelines? Tom Babinszki set up a nice WCAG 2.0 tutorial that is a very user-friendly introduction to the large body of W3C documents. If you struggle with the alt and title attributes in HTML, you may enjoy this article by Steve Faulkner of The Paciello Group. The problem is often due to different ways of rendering the information depending on the browser, so Steve did some testing, which may improve your understanding. There is a need to make video games accessible for disabled gamers. This article discusses the benefits of using video games for people with disabilities, and why the video game industry should keep such customers in mind. Otherwise, "they are missing out on a great way to improve their games' brand equity." Able Gamers "gets" the concept of accessible games. They review games to determine how playable the games are for gamers with disabilities. It's a good site for game developers to monitor. An interview with Able Gamers' Mark Barlet explains why. What happens when a person who is not a gamer-with-a-disability starts thinking about video game accessibility? Read the article in that hyperlink to find out! What conference to attend? Where to go? Our first recommendation is – of course! – the STC Technical Communication Summit 2010 in Dallas, May 2-5. From the comfort of your home, wherever you are in the world, you can explore the Smithsonian's Disability Rights Movement online exhibit. It shows information about with disabilities and the Disability Rights Movement. Did you know that Baen Books Offers Free eBooks For People With Disabilities? There have been some sign-in difficulties, as @vavroom writes. However, when you do gain access, their entire catalogue of e-books is available "to people who have a reading disability. This can be visual impairment or physical inability to hold a book." See also Books for Visually Impaired from the Benicia Public Library. You may not have a disability yourself, but there is a good chance that you will grow older! That means you can't avoid discussion about baby boomers, senior citizens, the elderly, silver surfers – or whatever you want to call the older/oldest generation using the web and technology. Some Senior citizens becoming more comfortable with using Internet. However, how do those "boomers" use technology, and what can we learn from their attitudes? The article includes a link to a full report in PDF format. Another resource is Microsoft's free, online "Computer Guide for Boomers". Recently, @vick08 tweeted that "this is the web I'd like it to be." He was talking about the BBC's approach to accessibility – "my web, my way". Take a moment to explore what BBC has done with accessibility on their (massive) site. Get inspired for your work and learn along the way. In contrast, we have the government site for New York City. Jim Thatcher reviews the site and gives his verdict about the accessibility of NYC.org (once available on dotgov.com). Oh dear, get inspired about what you should not do for your work! We close this week's gazette with some food for thought.